Features: No moving parts: Silent, cool, energy efficient operation. Tough: Excellent shock, vibration, and temperature resistance. Fast: Access time up to 50x faster than HDD. Flexible: Designed to deliver SATA 6G speeds, yet backward compatible to SATA 3G and 1.5G. Efficient: Optimized for low power consumption for longer "unplugged" computer use. Reliable: Advanced dynamic global wear-levelling and bad block management. Use with nearly any computer: Compatible with Windows, Mac, and Linux systems with a USB 3.0/2.0 interface. US Made & Supported: Designed and built in the US with the highest quality components and backed by free lifetime US-based Tek support. TAA Compliant: Assures government contractors and government buyers this product is assembled in the U.S.A and is in compliance with the Trade Agreements Act. 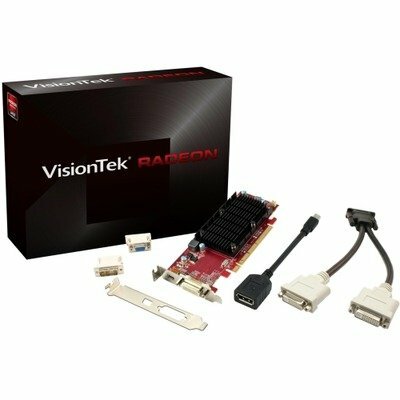 The VisionTek ATI Radeon HD 6350 1GB SFF DMS59 x16 PCIe graphics card offers the most features and functionality in its class with complete DirectX 11 support and the worlds most advanced graphics, display features and technologies. Designed to deliver a feature laden gaming/computing experience, ATI Radeon HD 6350 enables a seamless HD gaming experience with amazing image quality. At the heart of the entertainment experience on the PC, things like video playback, editing and transferring content to portable media players are now fast and easy. 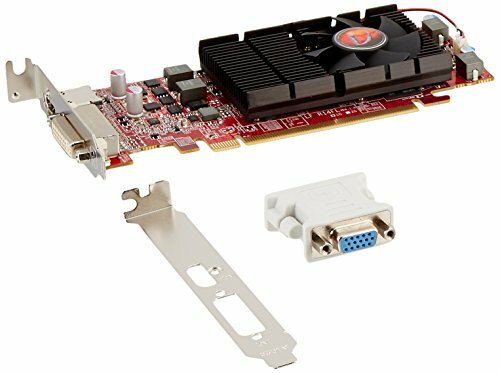 Supports Windows 7 and future DirectX11 games giving users incredible system performance in an energy efficient card that is easy to install with no external power supply needed. VisionTek's award winning PC3-10600 DDR3 memory operates at 1333MHz data speed and is ideal for high performance home computing. Either in single slot, dual channel, or triple channel modes, VisionTek performance PC3-10600 strictly follows the JEDEC standard for memory and is built and tested with speed and reliability in mind. 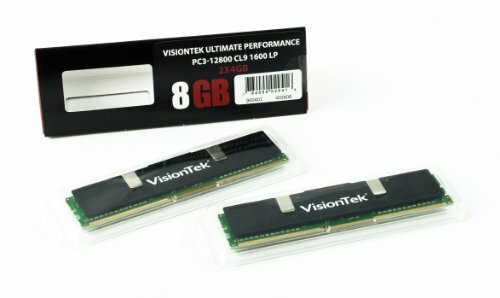 VisionTek PC3-10600 memory kits are ideal for overclocked systems and are available with high performance aluminum low profile and super-efficient aluminum extruded heat spreaders. 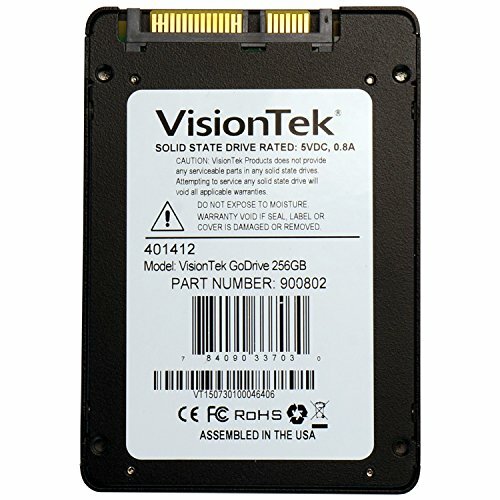 Whether it is used for productivity, social networking, high performance 3D PC Gaming, and streaming video over wireless networks, VisionTek PC3-10600 memory is ideal. Based on the award-winning GCN Architecture, AMD Radeon HD 7700 Series GPUs are built to destroy with the industry's very first 28nm GPU design. 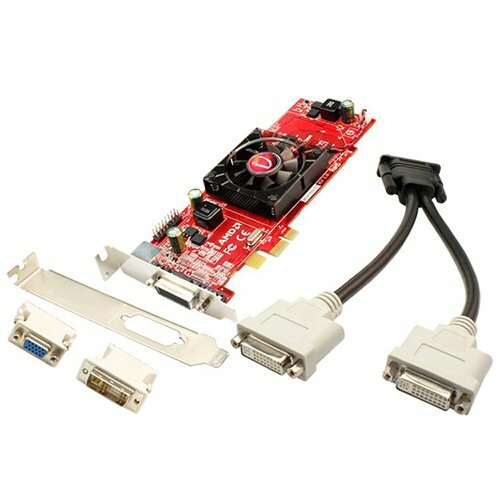 Packed with incredible features, such as PCI Express 3.0, the ultra-efficient AMD ZeroCore Power technology or gaming with AMD Eyefinity multi monitor technology, these are the world's most advanced graphics. 4 MONITORS USING VISIONTEK ATI RADEON HD 7750 REVIEW/GAMING DEMO. Want more Visiontek Low Profile similar ideas? Try to explore these searches: Green Nylon Knife, Jewelry Red Jade Pendant, and Spanish Bingo.